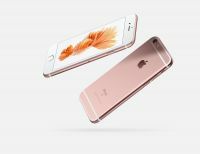 iPhone 6s introduces an entirely new way to interact with your phone. For the ﬁrst time, iPhone senses how much pressure you apply to the display. In addition to familiar Multi-Touch gestures like Tap, Swipe and Pinch, 3D Touch introduces Peek and Pop. This brings a new dimension of functionality to the iPhone experience. And when you use 3D Touch, your iPhone responds with subtle taps. So not only will you see what a press can do — you’ll feel it. 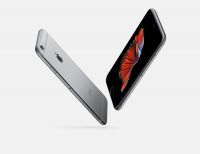 iPhone 6s Plus take everything that made the previous generation great, and advance it to a new level. 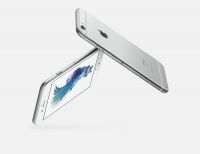 They’re made with 7000 Series aluminium, the strongest alloy we’ve ever used in an iPhone. They both feature Retina HD displays made from the strongest cover glass used on any smartphone in the world. And now they’re available in an elegant new rose gold ﬁnish. To Recieve updates and possible rewards for Apple iPhone 6s Plus 16 GB Gold please sign in. To Recieve updates and possible rewards for Mobile & Smartphone please sign in.